Leonard Lief Library, 2nd Floor, Fine Arts 9:15 - 10:45a.m. 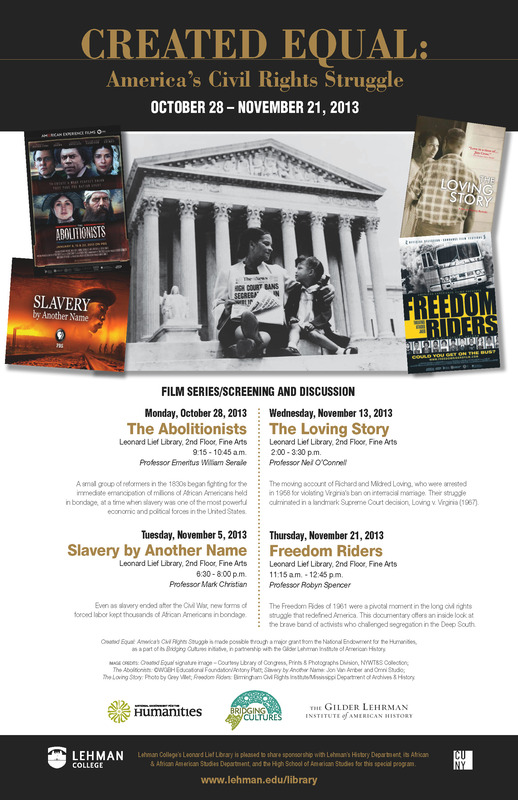 Leonard Lief Library, 2nd Floor, Fine Arts 6:30 - 8:00 p.m.
A grant to the Leonard Lief Library from the National Endowment for the Humanitites in cooperation with Gilder Lehrman Institute of American History has made the "Created Equal" film and discussion series possible. 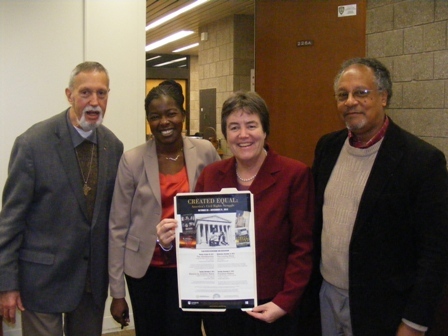 (l-r) Professors O'Connell, Spencer, Munch (Series Coordinator), and Seraile. Professor Christian, not shown here, had left to teach a class. Leonard Lief Library, 2nd Floor, Fine Arts 2:00 - 3:30 p.m.
Leonard Lief Library, 2nd Floor, Fine Arts 11:15 a.m. - 12:45 p.m.